Tourism in Slovakia offers natural landscapes, mountains, caves, medieval castles, spas, ski resorts, active tourism opportunities, hiking, international flight and train connections, as well as rich cultural heritage, gastronomy, attractions and modern newly-developed lodging capacities. In the last two years, tourism in Slovakia has been rapidly increasing, and more than 4.3 million people visited Slovakia in 2015, especially the most attractive regions like Bratislava – the capital of Slovakia and the High Tatra region. Astoria Tatry Travel, Ltd. has been active in the tourism industry, hospitality management, and marketing for more than 20 years. During this period, it has developed important long-term national and international partnerships. 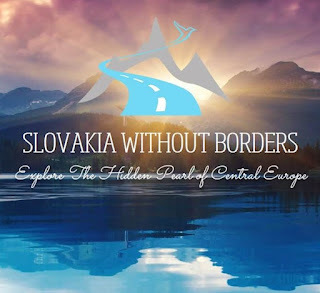 The project, “Slovakia Without Borders,” was established after a two-year long communication and negotiations with local tourism associations, tourism executives, and strategic travel companies. Moreover, the latest affiliations and interest in collaborating with eTurboNews, the leading global network in tourism, as well as, the International Institute for Peace through Tourism resulted in a successful opportunity to define and make each traveler a “Travel Ambassador of Peace” through a unique partnership with SKAL and Inspirock – the leading innovative trip planner. Plan your trip and get a detailed travel itinerary and tips in just seconds with Inspirock's trip planner platform. The trip planner provides a day-by-day plan of attractions you can experience at various destinations of the Tatra region or other Slovakian destinations. The plan is fully customizable with many options and add-on services you can choose from. You can even write down your notes, comments for your next trip planning, and book hotels at the same time, comfortably from your home. One of the modern and contributing features of Inspirock's trip planner is also connecting with your friends and travel communities on social media, sharing your travel plans, and letting them assist you with recommendations or opinions of your planned trip. It uses advanced technologies to sift through the large amounts of data to find the perfect match based on your preferences. In addition to all of these features, Inspirock will be adding more to help make your trip unforgettable. “The idea of creating such a communication platform was born in 2013, when I attended an international networking event in Hawaii where I also met Mr. Steinmetz, the Publisher of eTurboNews and Chairman of the International Council of Tourism Partners, for the first time. “We had an opportunity to discuss many topics from the travel and tourism industry, as well as potential cooperation between Hawaiian and Central European inbound/outbound tourism and membership with the International Coalition of Tourism Partners. “In my opinion, Central Europe itself has a great perspective and is ready for active tourism. For example, tourism in Slovakia has been rapidly increasing in the last two years, which I find very positive. There are many tourism agencies, information centers, and authorities that have improved the communication strategy and public relations sector. However, there is still lack of goal-directed promotional activities, and the communication model of all local and government-funded tourism authorities needs to be improved. “Based on our long-term negotiation and our interest in working together with international travel professionals and institutes, we have decided to create a platform where all those affiliations and future partners can communicate among themselves and participate in various future projects within Central Europe. “The project will be based in Slovakia, but also in Switzerland, from where it will be directed. 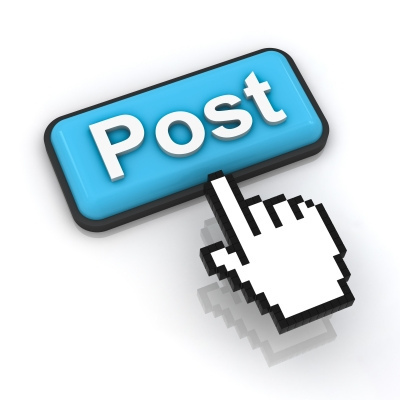 “We need to really improve the PR, outline, and specify what we really wish to promote. What we are trying to do is to set up or create a communication model or strategy which will lead to a successful promotion of the country under one strong brand, and we expect from the tourism authorities to work closely together with Slovakia. I am convinced that partnering with international partners is a key to success where networking, communication, and PR ideas are included. We are very happy to not only be part of those mentioned partners, but we will do our best to be a great contribution to those mentioned partners, as well,” said Jaroslav Guzanic, the founder of the project. It has to be mentioned that all of those successful tourism entities have by a significant amount of partnership activities contributed to the world of travel by supporting the Olympic Truce. We appreciate having the chance to be, “Travel Ambassadors of Peace through Tourism” and that travelers from Slovakia will also support this unique campaign by sharing their travel stories and experience. More than 500 runners, including professional and amateur athletes, sports teams, clubs, city executives, and sports legends have taken part in this competition. In conclusion, the goal of this project is first of all to connect the most attractive regions of Slovakia and tourist boards to create new travel products and promote the services, attractions, and services of the Tatra Mountains internationally as a leading tourism brand within Central Europe with its base in the city of Poprad, Slovakia. All these affiliations are bringing us a unique opportunity not only for tourism professionals, but also for potential travelers and newcomers by promoting and using this helpful and innovative travel tool that will be able to help generate and a detailed travel itinerary in just seconds.